By age 34, Dr. Nasir Siddiki, a successful businessman, had made his first million, but money meant nothing to him on his deathbed. 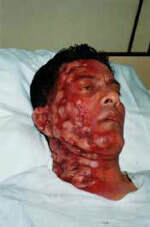 Diagnosed with the worst case of shingles ever admitted to Toronto General Hospital, his immune system shut down and the doctors left him to die. Born into a Muslim family, Dr. Nasir had pinned all his hopes on modern medicine. When doctors could not help him, Dr. Nasir whispered, "God, if you're real, don't let me die!" In the darkest hour of the night, Jesus appeared beside Dr. Nasir's bed and said,"I Am the God of the Christians. I Am the God of Abraham, Isaac and Jacob." Those brief moments in Jesus' presence left Dr. Nasir Siddiki miraculously healed. 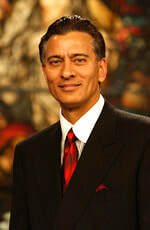 From that day until now, Dr. Siddiki's passion has been to know and serve the Lord Jesus Christ. An international teacher and evangelist, Dr. Siddiki holds crusades around the world and has led thousands to the Lord in India, Asia, South America, Europe and Africa. God has given him a mandate to proclaim the Gospel from nation to nation while setting the captives free. He and his wife, Dr. Anita, host a television program on TBN, Winning with Wisdom, which is broadcast to 15,000 stations via satellite, reaching millions of people, including those in the Middle East. The founder of Wisdom Ministries, Dr. Siddiki teaches biblical wisdom principles for success at the Wisdom Center in Tulsa, Oklahoma. He has taught at the American Bible College and Seminary, where he developed the curriculum for Biblical Economics and received an honorary doctorate degree. He has been featured in Charisma, Word of Faith and Believer's Voice of Victory magazines. He has ministered on a variety of television programs including TBN, Daystar, LeSea, Inspiration Networks and many more.